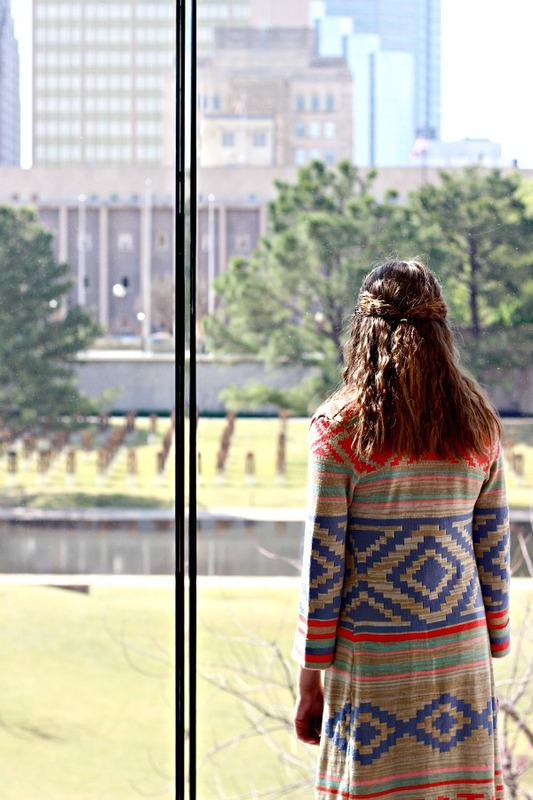 A few weeks ago I joined my daughter as her class went on a field trip to the Oklahoma City National Memorial and Museum. 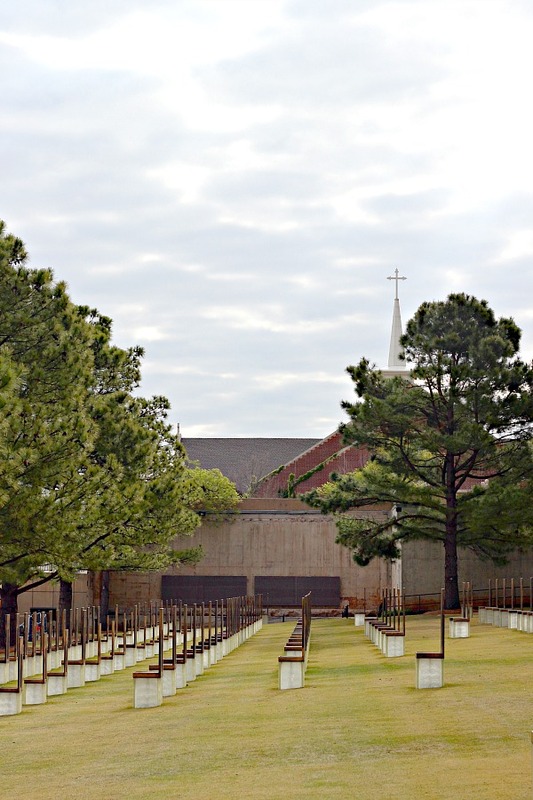 Today, on the 21st Anniversary of the Murrah Building bombing, I thought it would be appropriate to share that trip with you. 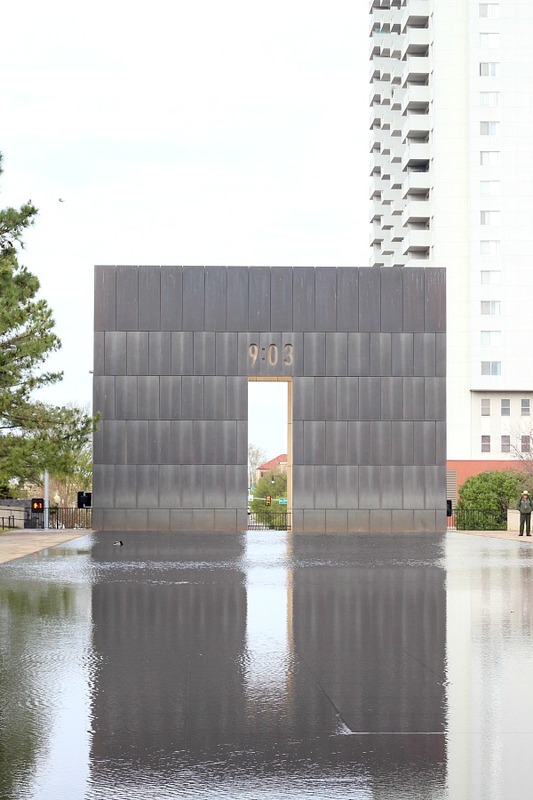 Even though I was born and raised in Oklahoma City, and have been living here again for the past 13 years, we were living in Fort Worth at the time of the bombing. I distinctly remember being in my 3rd grade classroom and hearing the news shortly after it happened, and then sitting in the conference room at lunch watching the television as everyone tried to figure out what had happened. I'm guessing most of you know the details of that horrific day and sat glued to your tv screen as we did, or if you're a young reader I would hope you've learned about that day in a History class. So, I'm not rehashing those details today. I wanted to share with you some things about the Memorial that we learned when we were there. 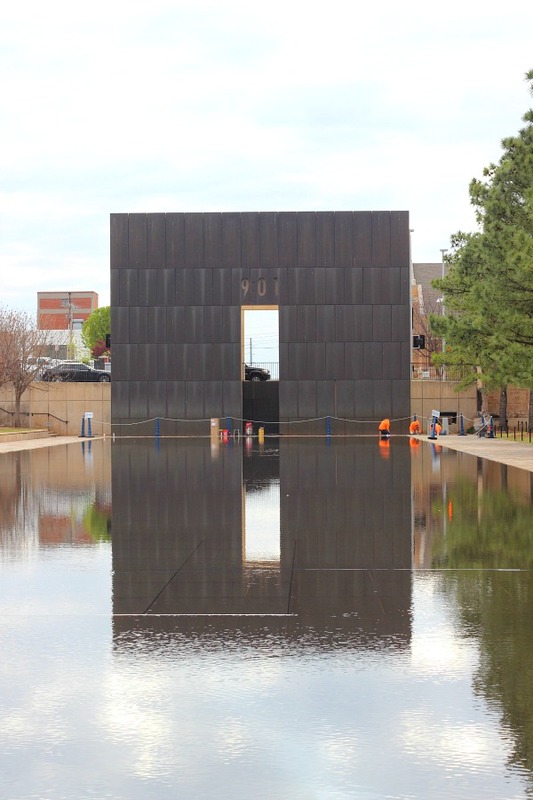 And although I'm an OKC girl, I didn't know a lot about how the Memorial was designed and the significance and thoughtfulness behind everything that was done there. First of all, the site is made up of two sections, the Outdoor Symbolic Memorial and the Indoor Memorial Museum. The Outdoor Memorial is an affiliate of the National Park system, and the National Park Service provides services there. 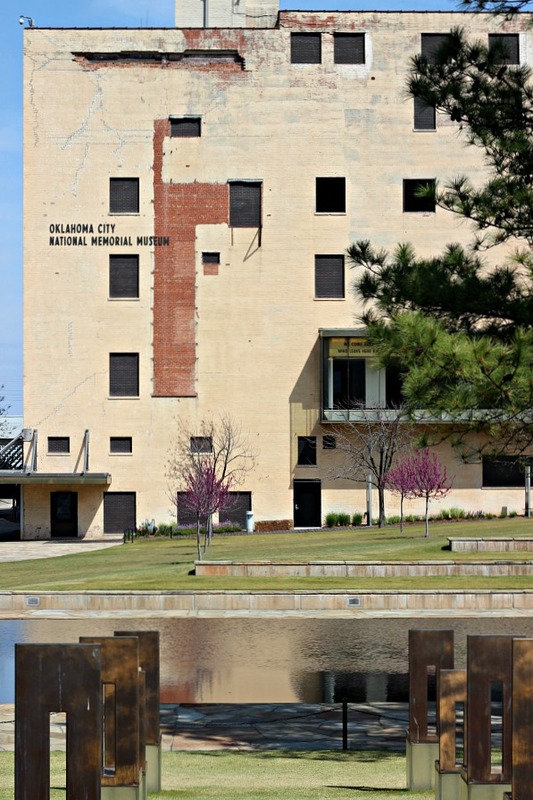 The Memorial Museum is located in the building that was formerly the Journal Record building located just across the street from where the Murrah Building stood. Our group began our tour at the Outdoor Memorial. The morning was overcast and cool, which seemed fitting. 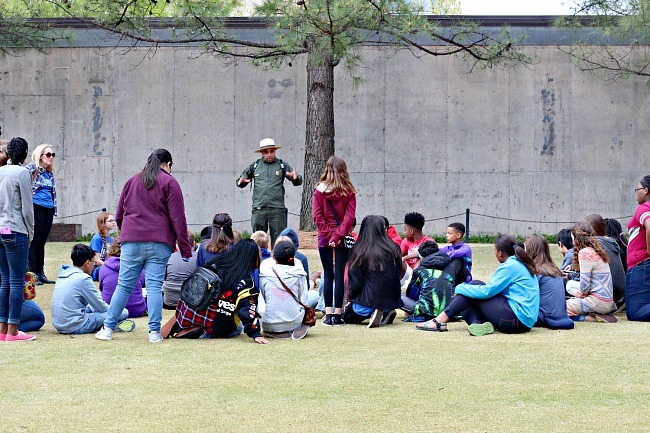 A National Park Ranger explained the design of the memorial and significance of how things were arranged. 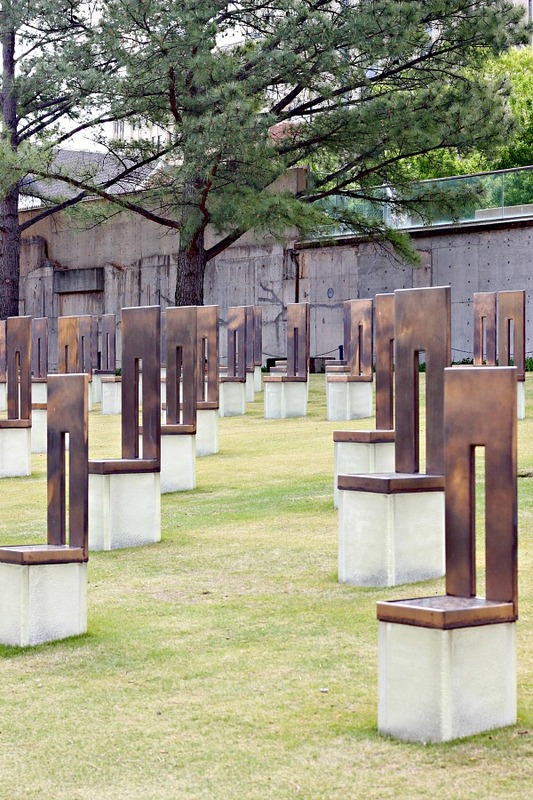 A grass lawn full of 168 bronze chairs, called the Field of Empty Chairs. now sits where the Murrah building once stood. The purpose behind the empty chairs is that they represent the idea that someone is missing. They are arranged in a very specific order- if you were to look down on the field from a bird's eye view, they would form the outline of the building, with gaps in the chairs representing the gouge that was blown out of the building in the explosion. 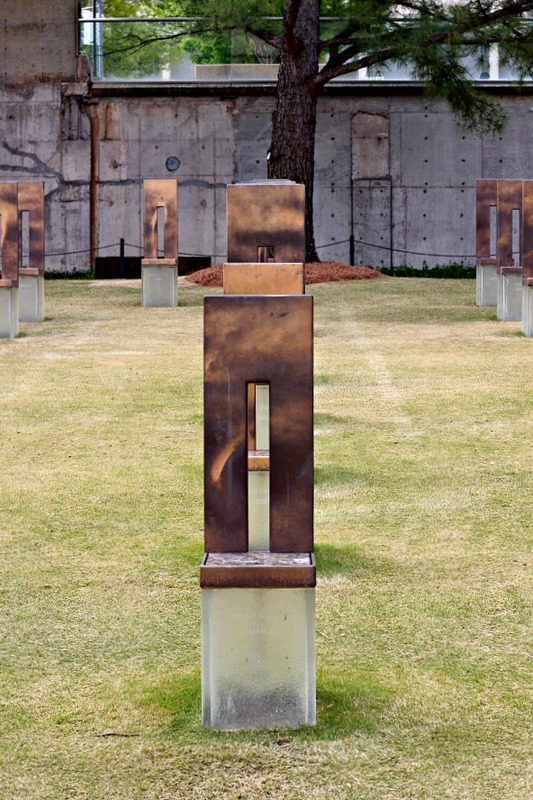 One section of 5 chairs represents the 5 people who were killed outside of the building. The remainder of the chairs are arranged in 9 rows, representing each floor of the building. Each chair in each row displays the name of the victim alphabetically and marks what floor that person was supposed to be on when the bomb went off. There are 19 small chairs representing the children who died in the daycare which was housed on the second floor of the building. 3 chairs each have 2 names listed on them for mothers who were pregnant and far enough along that they had named their unborn babies. Heart breaking. Loblolly pines were selected to frame the field, and at maturity will be 9 stories tall, the same height that the building was. and the gate at the west end marks 9:03 a.m., the minute after. The reflecting pool marks 9:02 a.m., that moment in time when the bomb went off. The idea is that when you come to the Memorial, you're trapped in that minute in the middle when so many lives were changed forever. 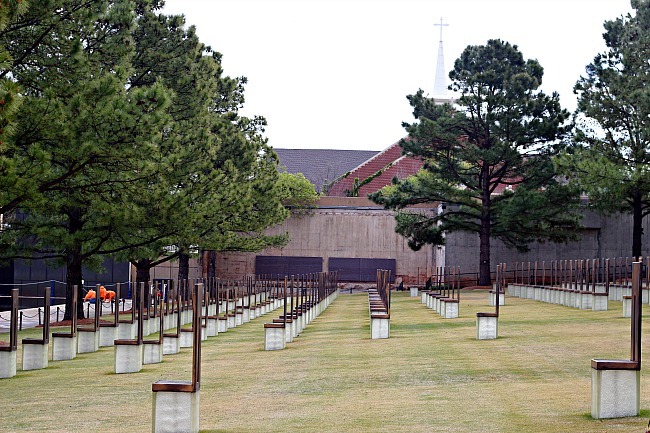 On the side of the pool opposite of the Field of Chairs, 2 kinds of trees were planted to represent and honor the rescue workers who worked so tirelessly the days and weeks following the bombing. 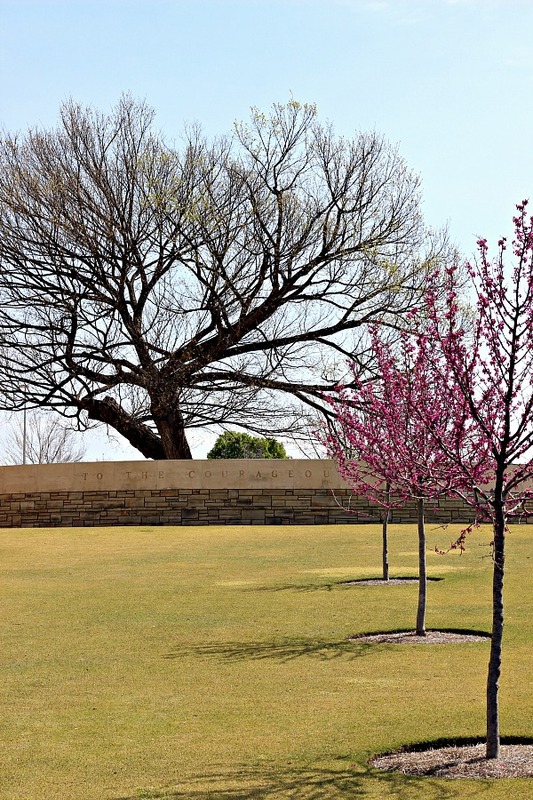 Redbuds-Oklahoma's state tree- were planted for the rescue workers who were Oklahomans, and Amur Maple trees for the rescue workers who came from outside of Oklahoma. 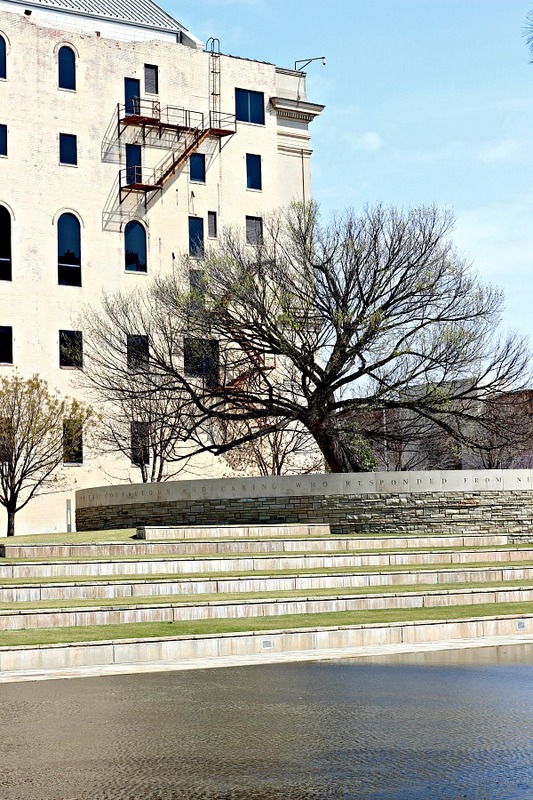 One tree, now called the Survivor Tree, was burned in the explosion and had to be combed for evidence, yet survived and is now symbolic of the city's recovery after the tragedy. The day we were there it was just beginning to form buds on it's branches. 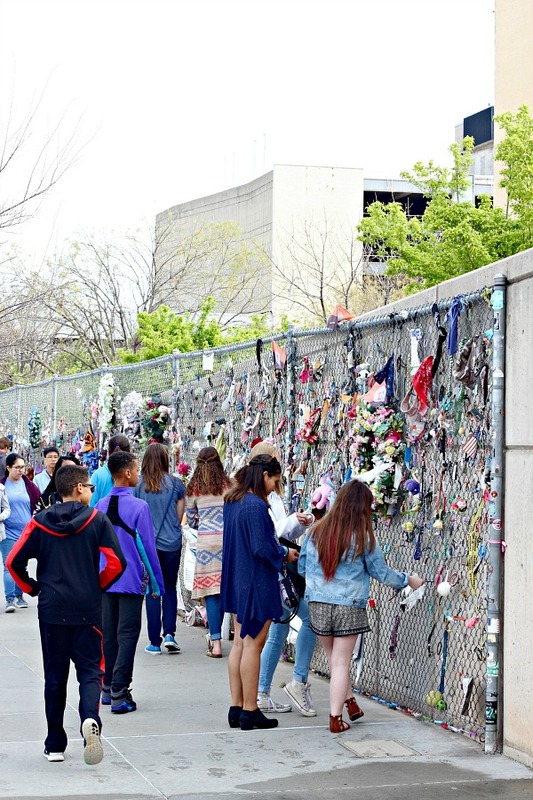 A portion of the chain link fence that surrounded the site for so long after the bombing has become a permanent part of the Memorial as well. For a long period of time people would leave mementos on the fence as a memorial to the victims. 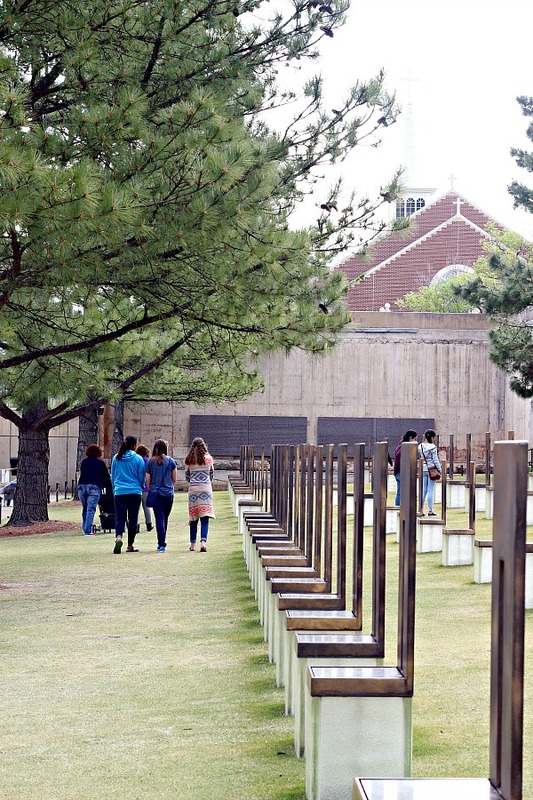 It is now an interactive part of the Memorial where visitors can leave something behind. 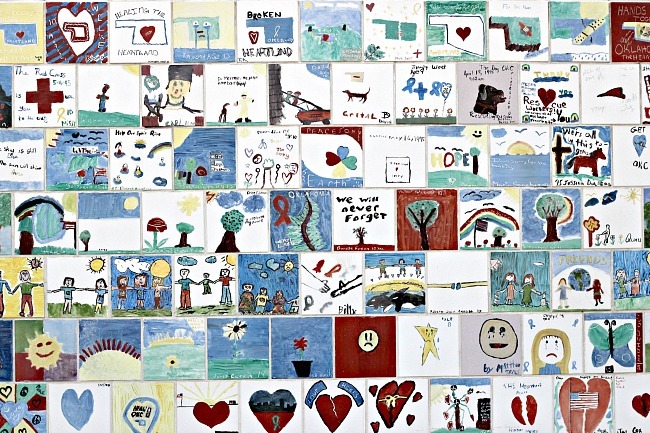 Moving on to the Memorial Museum, there are half walls at the entrance made up of tiles made by school children following the bombing, and there are chalkboard sections where visitors can write messages. The Museum is extremely well done, beginning with the story of the events of the day. At the beginning of the tour visitors enter a room where they listen to an actual recording of a hearing from the Water Resources Board that was in process in that very building (which is across from where the Murrah building was) at the time the explosion occurred. It can be heard on the tape, along with the confusion following, and then the museum visitors enter the rest of the museum to walk through a timeline of that day and the days following, as well as events leading up to the attack. 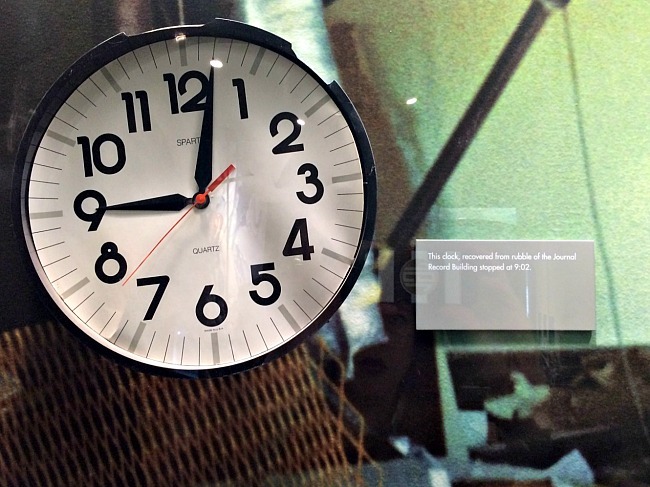 "This clock, recovered from rubble of the Journal Record Building stopped at 9:02." 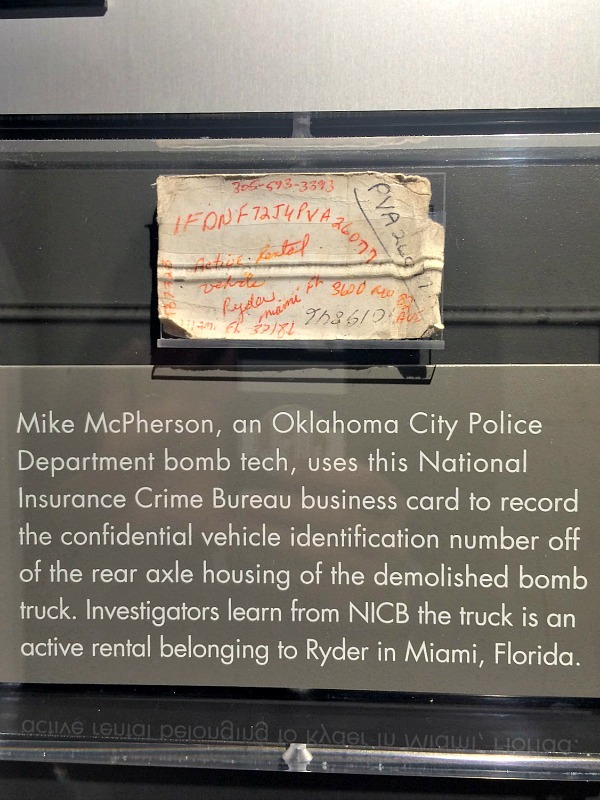 Many items from the building and surrounding areas are displayed, as well as some pieces of evidence that were processed. Lots of videos and news footage clips help give a feeling of the eeriness and destruction of the day and the rescue and recovery efforts in the days to follow, as well of survivor accounts of the event. There is also a beautiful tribute to the victims in the museum, including a photograph and name of each, along with some of their personal items that were special to them. Finally, there is a fantastic interactive classroom where students are able to learn about the composition of structures and the architecture needed to make buildings strong. Upon touring the Memorial and Museum, I was struck by the unparalleled compassionate human response from across the globe to this tragedy, the strength of character in the survivors, families of the victims, and rescue workers, and the beautiful picture of a community coming together to support one another in the midst of tragedy. 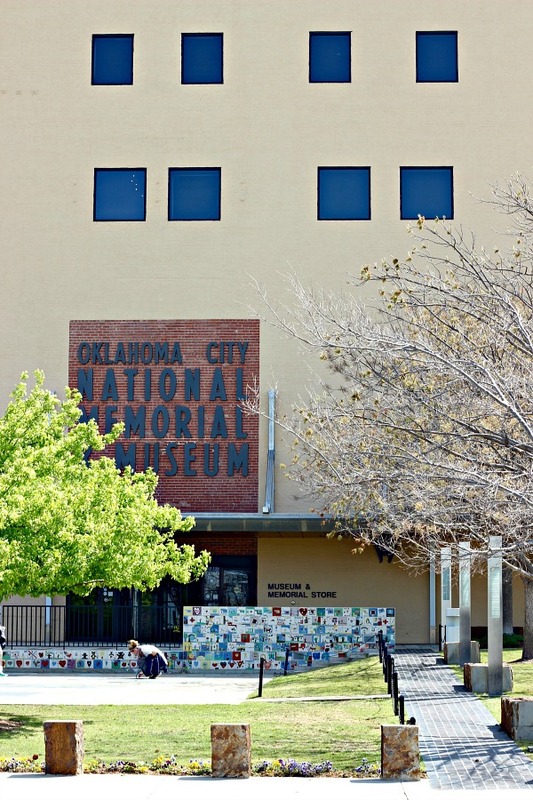 If you're interested in learning more information about the Oklahoma City National Memorial and Museum or planning a visit, click here. 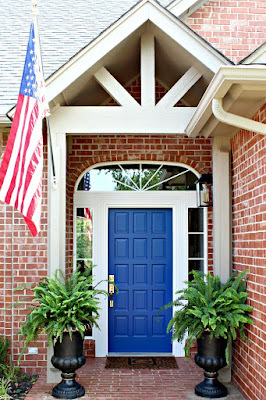 Beautiful post Jennifer. We will never forget. Jennifer, I was in my classroom in Putnam City schools with the kids lined up to go on a field trip. We were planning to go to a theater right downtown. When the explosion happened we were close enough that the school shook and my door slammed shut. I knew what it was because my husband is in the commercial explosives business and I've been with him on site before. We didn't know exactly where it was though. That was the saddest time of my life. It rained for days after the bombing and it was like the whole city was crying...and truly we were. I don't live there anymore but I'll never forget. Thanks for this tribute. wow, that seems like a really affecting memorial. thanks for sharing. 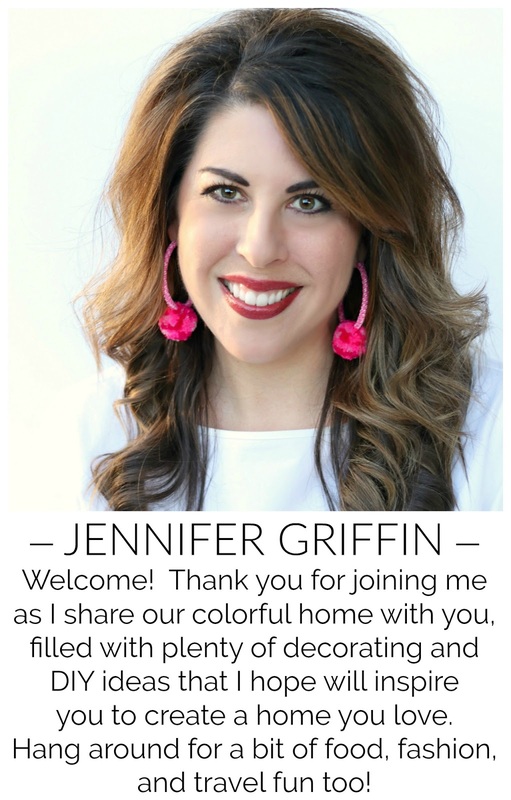 Thank you for sharing, Jennifer. I had no idea this existed. It's a lovely and beautifully thought out memorial. I love that the chairs light up at night! Thank you so much for sharing! This is a beautiful tribute to those lost in such a senseless act. It's obviously well planned and very meaningful. I remember the day too and yes, watching TV when possible to learn more. Makes me tear up to think about it. A guy that grew up in the little town I did was a fireman and chaplain. He also worked with an amazing rescue dog at the Murrah building as well as Ground Zero after 9/11 and Katrina. Needless to say, he has severe PTSD. So many first responders have given so much in our national tragedies as well as day to day in their professions. Lovely tribute..both yours and OKC' s.
Thank you. They truly did an outstanding job on the Memorial. Thank you, Jennifer - tremendous thought/heart went into this memorial . . .
Jen, loved your write up. It was very moving. Thank you for sharing. I want to see it in person since they have finished the museum.